In case you missed out Dockercon 2017 and have no idea what is LinuxKit all about, then you have arrived at the right place. 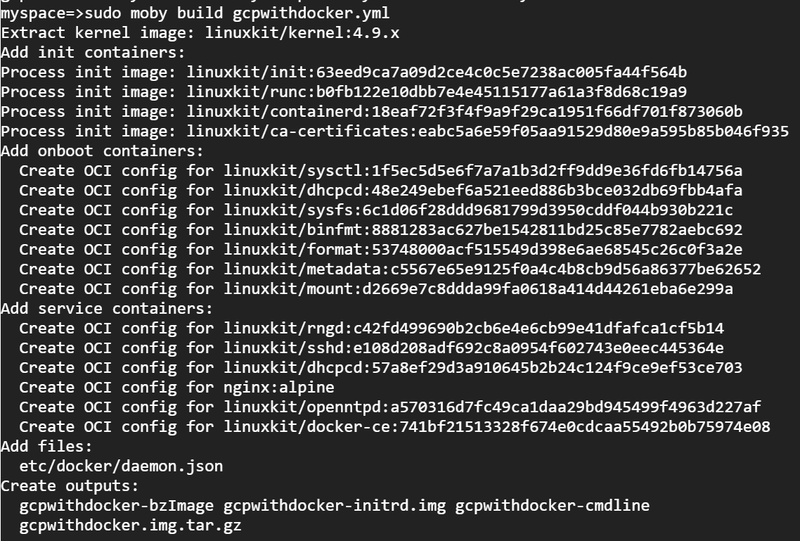 For the next 30 minutes of your time, I will be talking about an open source container toolkit which Docker Inc. has recently made to the public & will help you get started with it in very easy and precise way. LinuxKit is just like Docker’s other open-source container toolkits such as InfraKit and VPNkit. 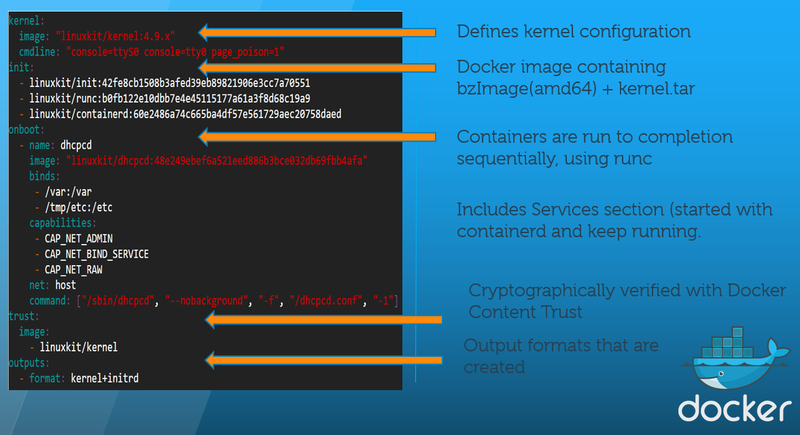 It is essentially a container-native toolkit that allows organizations to build their own containerized operating systems that are secure, lean, modular and portable. Essentially, it is more of a developer kit than an end-user product.This project is completely open source and is hosted on GitHub, under an Apache 2 licence. 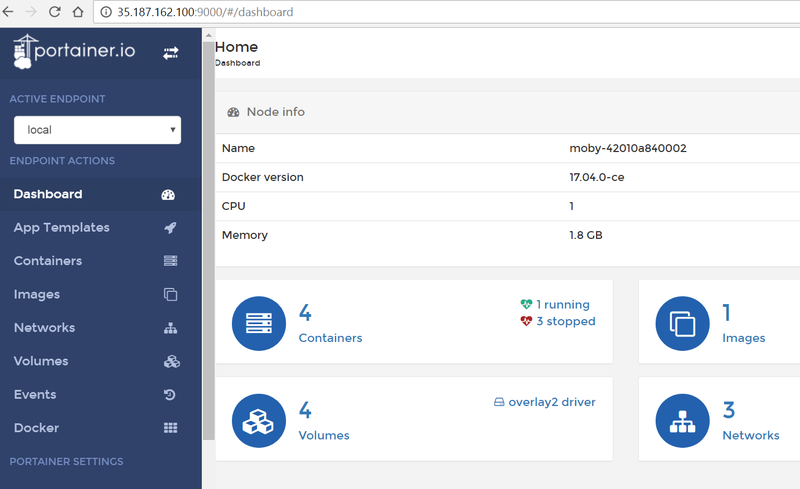 Last year Docker Inc. started shipping Docker for Mac, Docker for Windows, Docker for Azure & Docker for GCP and that brought a Docker-native experience to these various platforms. One of the common problem which the community faced was non-standard Linux OS running on all those platform. Esp. Cloud platform do not ship with a standard Linux which brought lots of concerns around portability, security and incompatibility. This lead Docker Inc. to bundle Linux into the Docker platform to run on all of these places uniformly. Talking about portability, Docker Inc. has always focused on product which should run anywhere. Hence, they worked with partners like HP, Intel, ARM and Microsoft to ensure that LinuxKit toolkit should flawlessly run on the desktop, server, cloud ARM, x86, virtual environment and on bare metal. LinuxKit was built with an intention of an optimized tooling for portability which can accommodate a new architecture, a new system in very easier way. 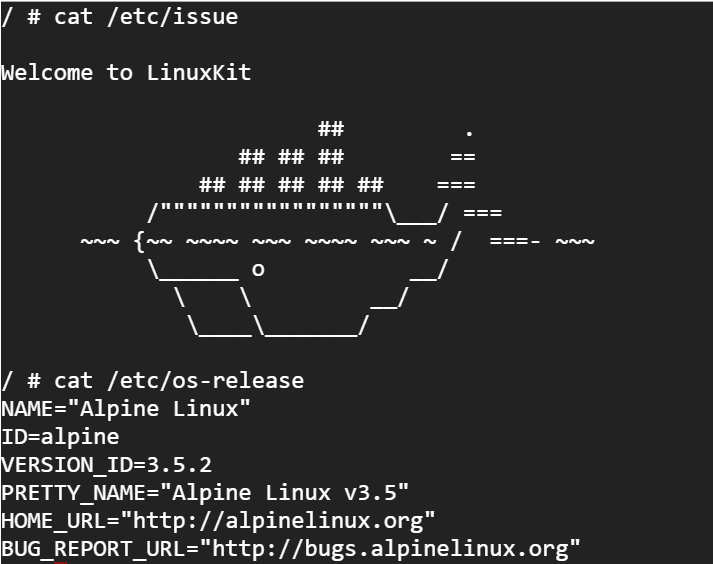 LinuxKit includes the tooling to allow building custom Linux subsystems that only include exactly the components the runtime platform requires. 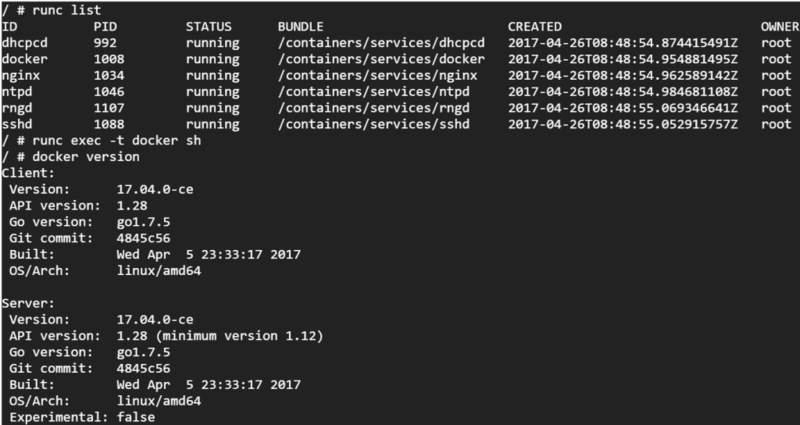 All system services are containers that can be replaced, and everything that is not required can be removed.The toolkit works with Docker’s containerd. All components can be substituted with ones that match specific needs.You can optimize LinuxKit images for specific hardware platforms and host operating systems with just the drivers and other dependencies you need, and nothing more, rather than use a full-fat generic base. The toolkit basically tries to help you create your own slimline containerized operating system as painlessly as possible. The size of a LinuxKit image is in MBs ( around 35-50MB). 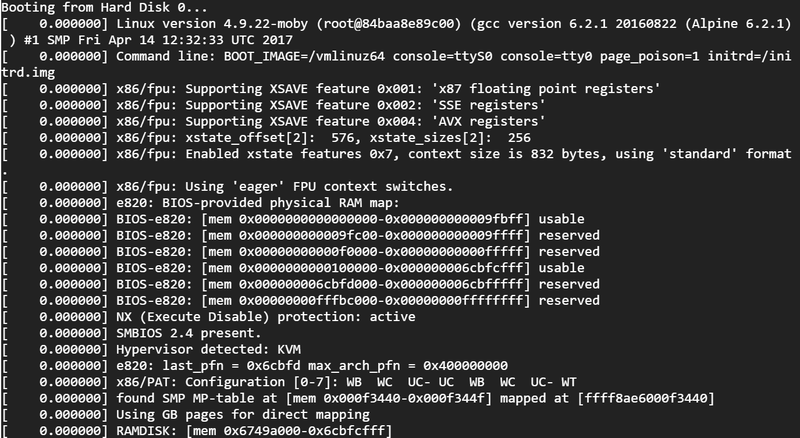 The above shown is YAML file which specifies a kernel and base init system, a set of containers that are built into the generated image and started at boot time. It also specifies what formats to output(shown at the last line), such as bootable ISOs and images for various platforms. Interestingly, system services are sandboxed in containers, with only the privileges they need. The configuration is designed for the container use case. The whole system is built to be used as immutable infrastructure, so it can be built and tested in your CI pipeline, deployed, and new versions are redeployed when you wish to upgrade. To know more about YAML specification, check this out. What tool does LinuxKit uses? There are two basic tools which LinuxKit uses – Linuxkit & Moby. In short, the moby tool converts the yaml specification into one or more bootable images. Let us get started with LinuxKit to understand how it builds customized ISO images and run uniformly across various platform. Under this blog post, I have chosen Google Cloud Platform. We will build LinuxKit based customized ISO image locally on my Macbook Air and push it to Google Cloud Platform to run as VM instance. I will be using forked linuxkit repository which I have built around and runs Docker container(ex. running Portainer docker container) inside VM instance too. – Ensure that GO packages are installed on macOS.. Please note that you might need to enable Google Cloud API using this link in case you encounter “unable to connect GCP” error. Wow ! It is running the latest Docker 17.04.0-ce version. 11. Let us try to run Portainer application and check if it works good. Now this is what I call ” a coolest stuff on earth”. Linuxkit allows you to build your own secure, modular, portable, lean and mean containerized OS and that too in just minutes. I am currently exploring LinuxKit in terms of bare metal OS and will share it under my next blog post. Did you find this blog helpful? Are you planning to explore LinuxKit? Feel free to share your experience. Get in touch @ajeetsraina.